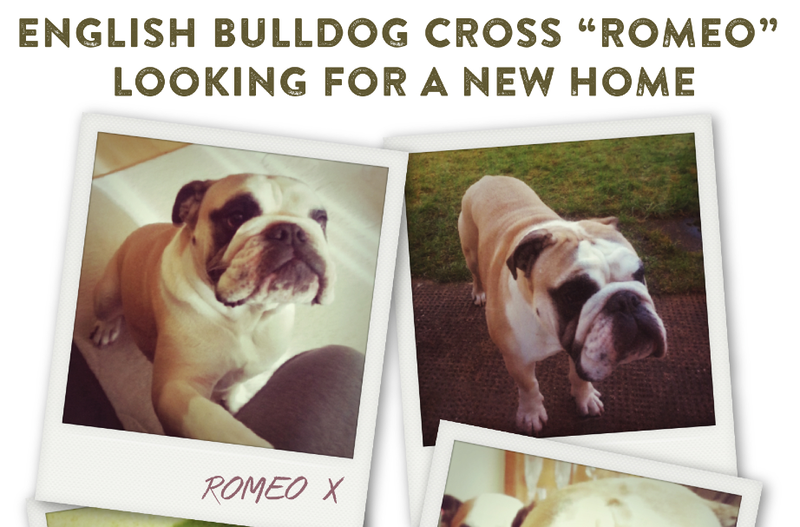 Romeo, an English Bulldog Cross, 3 years old, was recently orphaned when his owner died of cancer. See photo and more details available below, but any help in finding Romeo a home would be so greatly appreciated. Have you been looking for a dog, or know someone who could provide a good home? Speak to Robin at #14 Victoria Road if you have ideas, or comment here.